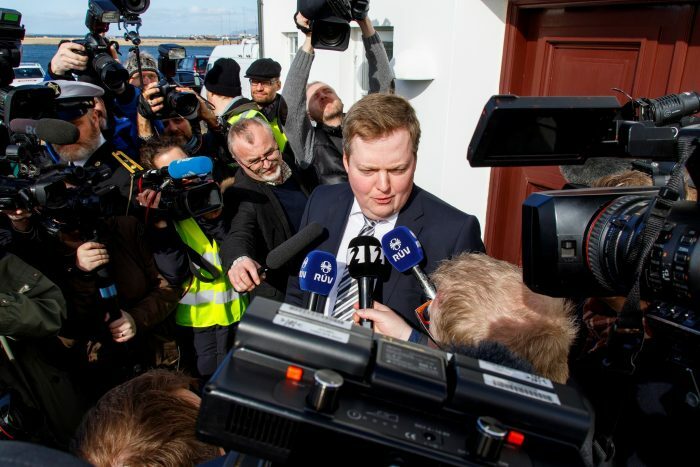 Iceland’s former prime minster Sigmundur Davíð Gunnlaugsson spoke in public for the first time today after he famously resigned office in early April this year following the release of the Panama Papers in which his and his wife’s ties to offshore accounts and particularly the offshore firm Wintris Inc. in the British Virgin Islands were made public. In an infamous interview on Kastljós – a talk show on RÚV (The national broadcasting service) on Mars 11th he sternly and steadfastly denied such ties and in effect stormed out of the interview. 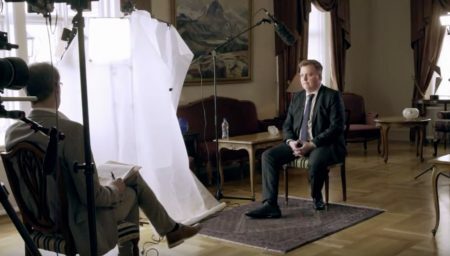 His reaction in the interview, which aired on the release date of the Panama leak, caused a worldwide outrage and not least among Icelanders, sparking the largest protest in the history of Iceland and eventually lead to an incredible sequence of events that finally prompted his resignation. His speech today was held on the occasion of the Progressive party´s central committee meeting, Gunnlaugsson remains the chairman of the party despite having resign from government. The speech was on a personal note and received a standing ovation, in it he mentioned the interview and its impact on his family. He called the interview a premeditated design to damage the progressive party through him and said, “he feels terrible not to have been able to foresee the attack”. According to polls the Progressive party has almost been wiped out of existence since Mars, with the Pirate party surging in support and leading in polls along with the Independent party. He also maintained that he and his staff had done everything in their power to clear up the matter and give information as best they could regarding Wintris Inc. Following Gunnlaugsson speech today a declaration from a group of journalists was released to the media rejecting the assertions he made in the speech regarding the interview having been scripted and that he and his staff had tried as best they could to clear up the matter and to answer questions that were raised by his behavior. The declaration draws attention to the fact that before the interview was broadcasted, Gunnlaugsson was repeatedly invited to appear in interviews to explain the matter and get his points across regarding Wintris Inc, six times to be exact, and right after the notorious interview had taken place he was formally offered another interview, trough official channels via his assistant Jóhannes Þór Skúlason. Kastljós additionally invited him and his wife to an interview to give them an opportunity to talk to the public and explain. Attached to the declaration are e-mails and letters confirming the invites and Gerard Ryle, executive director of ICIJ, International Consortium of Investigative Journalists signs the declaration along with Jóhannes Kr. Kristjánsson, chief editor at Reykjavik Media, Aðalsteinn Kjartansson, reporter at Reykjavik Media, Þóra Arnórsdóttir, editor at Kastljós RÚV, Helgi Seljan, reporter at Kastljós RÚV, Nils Hanson, editor of Uppdrag Granskning SVT, Sven Bergman and reporter at Uppdrag Granskning SVT.